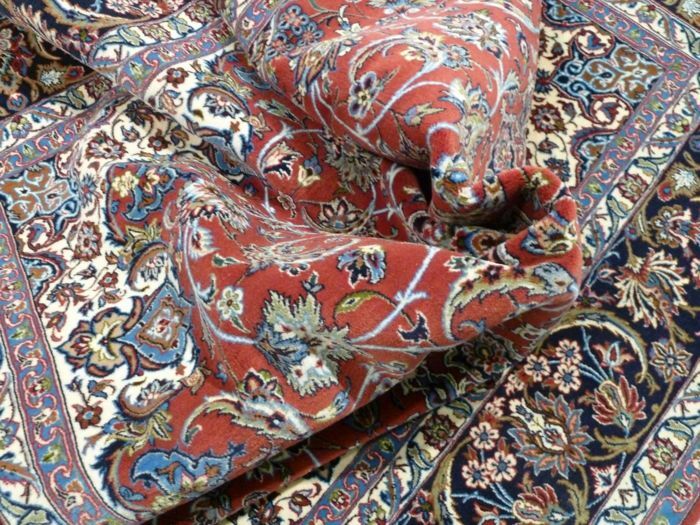 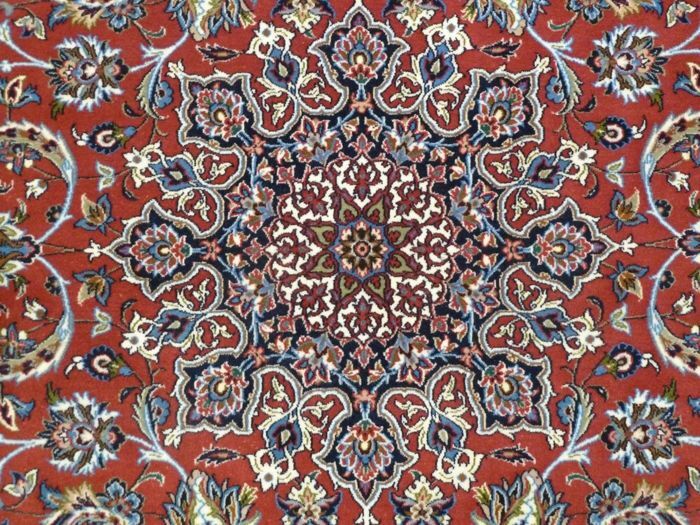 An exceptionally beautiful piece of the most cultivated Isfahan style, which was made during the reign of the last Shah. 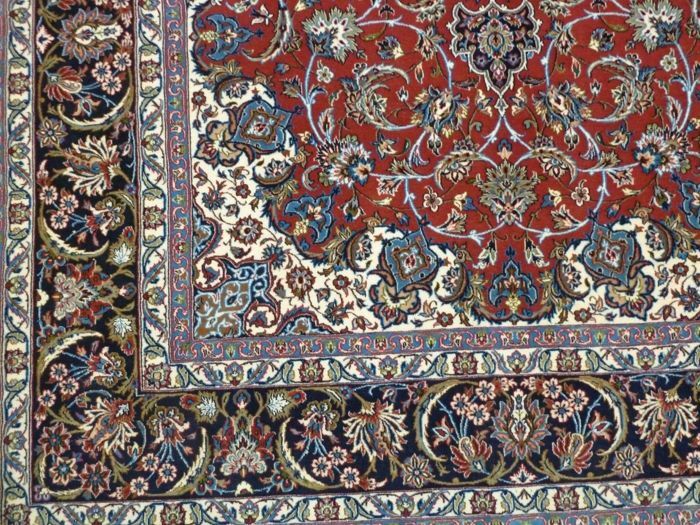 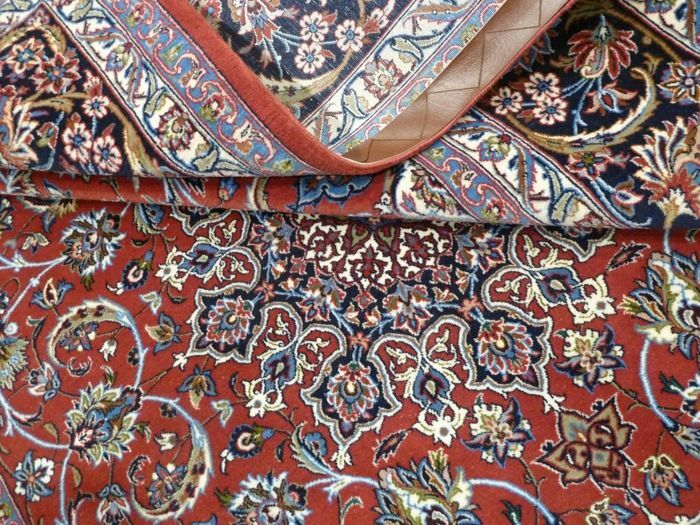 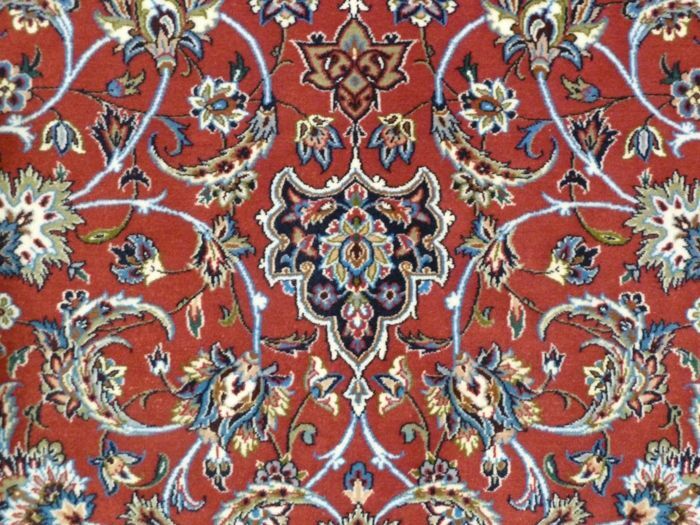 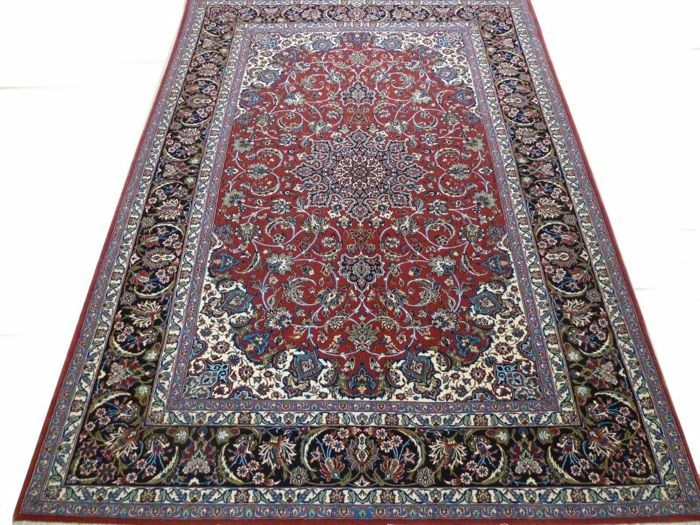 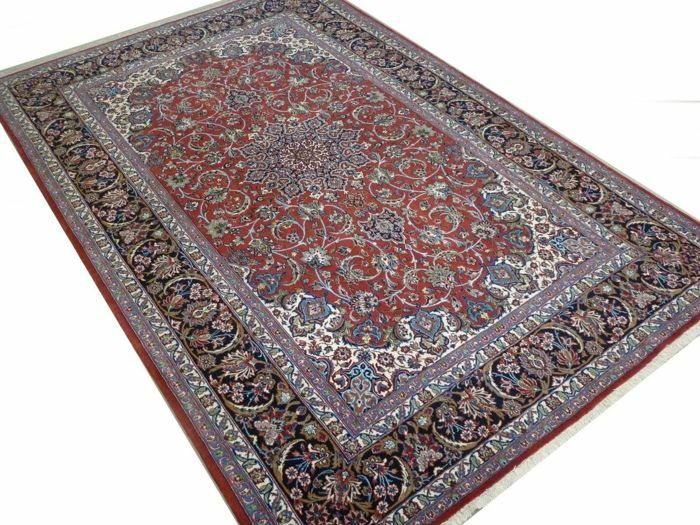 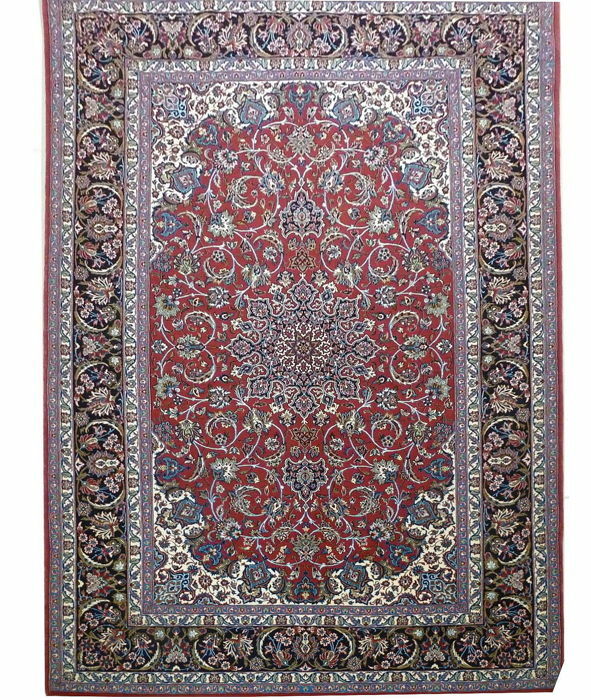 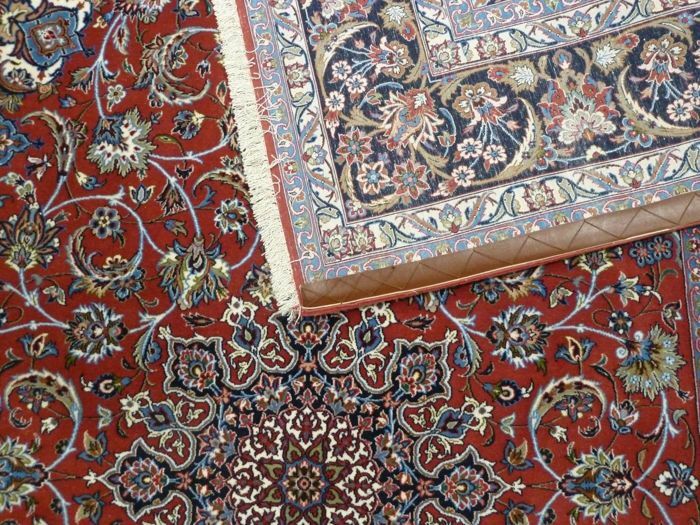 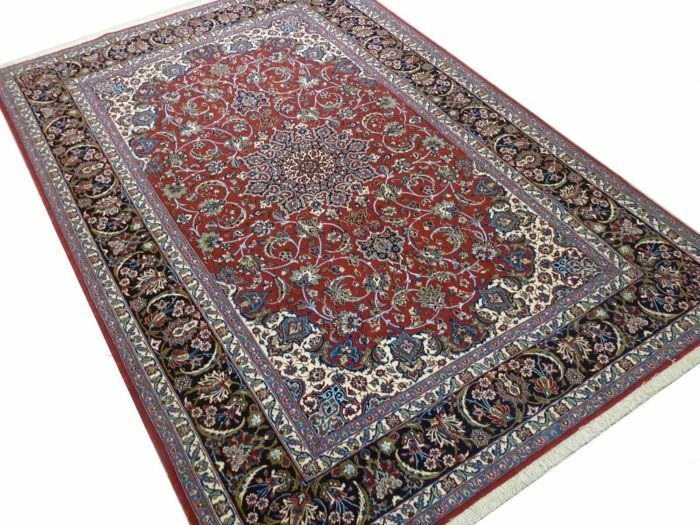 This remarkable carpet has magnificent bright colours, knotted from silk and cork work on a silk weft. 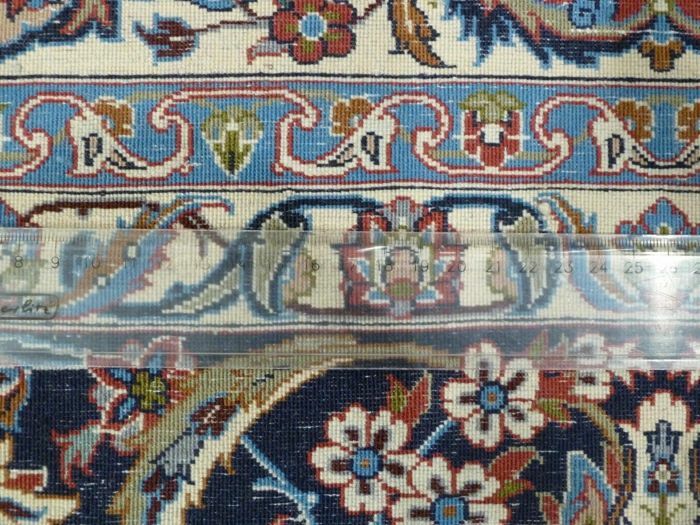 The typical border pattern demands particular attention, arranged with a fine feel for rhythmic effect and of an emphasized clarity, depicted true to nature. 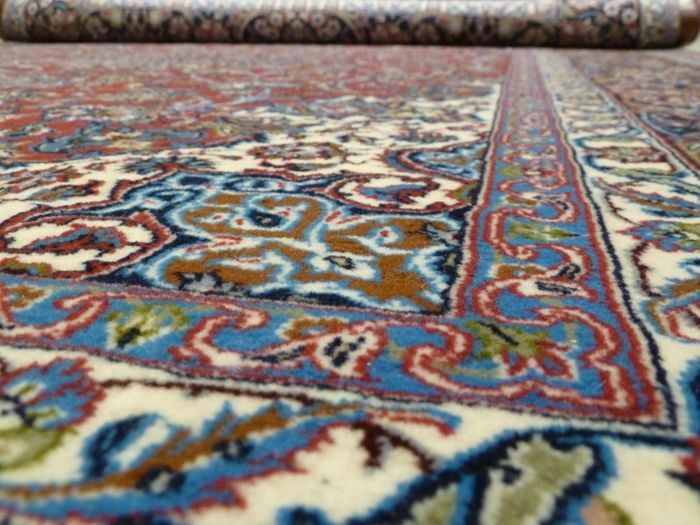 The of the last carpets from this workshop.